Who notices if you are not at church on a given Sunday and might even come looking (calling, emailing, etc.) for you when you’re missing? Who knows your current prayer needs? Who helps keep you accountable? Who is available to you at any time? Who is concerned with your spiritual health, as well as your spiritual growth? Who tends to the “young sheep” among your community, as well, as to the mature, gauging people’s spiritual needs? Pastors are the people who the Lord has placed in our life who do most, if not all, of the above and more. 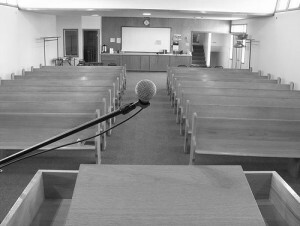 Pastors need not be speaking from a pulpit or directing a ministry. It seems we have confused the office of pastor with the ministry of pastor. American Christians, in particular, expect so much from our pastors, who are typically the people we come to see and listen to on a Sunday morning. However, this one person cannot possibly fill the role of pastor in the life of an entire congregation. More than that, many believe that, in order for an individual to be our pastor, he is usually required to hold a seminary degree and/or have 4+ years of experience in ministry. I have touched on the subject before, which is not biblical, that tells us that only those who are specially trained can serve. The disciples who followed Jesus were ordinary men and…wasn’t that the point? Some were educated, but not all. They certainly were not considered to be the religiously superior of the day. They were simple men who happened to be called by the Messiah and were willing to serve Him wholly, even to the point of death. I am not opposed to seminaries, training, experience, or building a reputation before serving. My point, however, is that these requirements may not always be necessary. An individual with the spiritual gift of shepherding, in love with Jesus and filled with the Holy Spirit, may be just as capable, if not more so, of shepherding a given flock. Sometimes, it is the most unassuming people who do the most powerful things–a carpenter’s son, for instance. Who is your real pastor? How has God used an ordinary person in your life to do extraordinary things? How do you feel about “religious professionals”? WOW! My husband thought I might like this post and I must say, I not only like it, I LOVE it. You have great insight into something that I have struggled with for many years. Thank you. Thank you for commenting and I’m glad it touched on something you have struggled with. Just out of curiosity what aspect have you struggled with, if you don’t mind sharing. P.S. I dig your Tumblr blog. It’s right up my alley. Nicole, here is Malisa’s reply, it was too long to post here. So good. I’d have to say that while my pastor is definitely also personally invested in my life (which is new for me), that my pastors are some of the “ordinary” people in the church who aren’t as noticed. They challenge me, I challenge them, they push me, I push back, and I’ve learned so much from our interactions. Thanks for refocusing my perspective. I’m so glad to hear that you have an official “pastor” as well as other individuals investing in your life. What a rare blessing. This was a great post Nicole, really made me think. I’ve always been in smaller churches where the pastor fulfilled the role of the shepherd as well as teacher, out of necessity. In larger churches though, I can definitely see this distinction as a necessity. Just subscribed to your blog, really love your thoughts here – good stuff! Thanks for the kind words and for subscribing! I think you raise a good point, in that, I suspect the role of pastor/teacher as a 2-in-1, probably did form our of necessity in many cases. Large churches, I think, need to be cognizant of this lumping together, so as to ensure the flock really is being shepherded, not just taught. Hope to see more of you around here. Thanks for commenting. Good important point! When you end up with such large communities, people definitely get lost in the shuffle. Even if you have a whole staff dedicated to caring for adults, it is still not enough. I think a good reminder like this is awesome and important – there are pastors in the congregation as well – your small group leader, your MOPS table head, the worship leader to the band, the head of the discussion group in the men’s group, etc. etc. etc. Great job on this. With the misconceptions of his role in America, I think a pastor is the “hardest working man in show business.” I jest. He is expected to perform at a level impossible to maintain for a lifetime of service. That is why so many are retiring(read quitting) early and also for the systematic destruction of their families. Having said that, you are so right that my pastor may not be the guy that I listen to preaching at service times. He isn’t. My pastor is someone else, actually several someone elses. Ken, I love the “hardest working man in show business” joke. It’s sad, but true. The average American pastor has an impossible task. He cannot actually pastor an entire congregation. I’m glad you have several people in your life who can shepherd you. It is a blessing for sure. This is the reason we take all of our small group leaders through “Shepherding Training”. As “pastor” I can’t possibly keep up with everyone, but someone needs to. Oh, soooo good. I’m holding on to that verse. Bring that on Saturday!